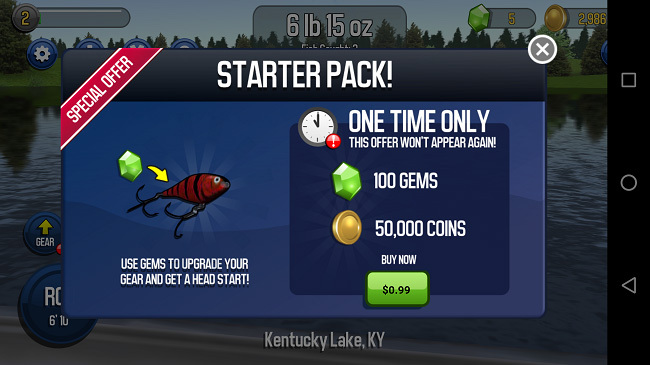 IAP Promo allows developers to easily promote micro-transactions. Use it to target different players with unique purchase opportunities at various points in the game. Note: Unity recommends using the latest Unity IAP SDK (1.2+) and Unity Ads SDK (2.3+) for access to the latest features. Using older versions of the SDKs may cause initialization errors. Placements trigger fill requests, whereby the feature searches associated Promotions for targeted Products to show the player. Players can make in-app purchases directly from the resulting interstitial ad. IAP Promo eliminates the need for traditional A/B testing methods. Its machine learning software leverages the aggregated data in Unity’s network, looks for data patterns, then feeds them into a model to improve your game. This enables personalized offers, even for brand new players. This completely automated service works around the clock.